An ultrasound technician associate’s degree is the most common educational qualification for entering the profession. An associate’s degree is normally earned in 2 years and conferred by a community college, technical college or sometimes a college or university that also awards higher degrees. Your coursework will include classes in Sonography, coupled with a number of clinical rotations. These, combined with courses in patient care, physics and anatomy, among others, will prepare you for work as an ultrasound technician. 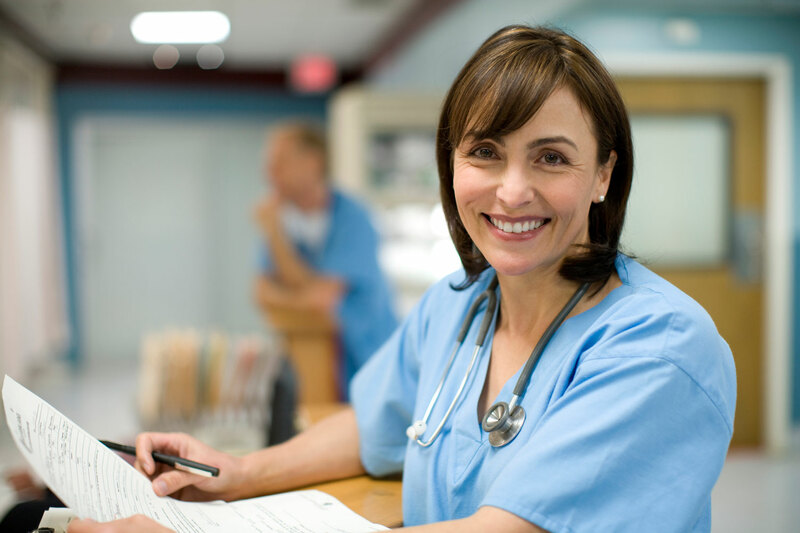 You will usually be expected to have fulfilled certain prerequisites in high school before being accepted to begin work on your ultrasound technician associates degree. Programs will vary, so you will have to investigate the 1 in which you are interested, but good grades in classes like algebra and physics are standard. If you do not have enough high school prerequisites, you can always fulfill these requirements at college before you are accepted into the ultrasound technician program. If you already have medical experience, you can cross-train in Sonography by doing a 1-year ultrasound technology certificate program. You might also be interested in doing a 4-year ultrasound tech bachelor’s degree program, or even a master’s degree, but these courses are really only for those who are looking to teach or conduct research in the field. Most students will earn their ultrasound technician associates degrees within the standard 2 years. Some programs might last a few months longer. Most states will also require that you receive licensing or certification from the American Registry for Diagnostic Medical Sonography (ARDMS) or the appropriate professional organization for your specialty as well. You will have to factor in extra time to apply for and take these exams before you are ready to pursue a job. To date, there are 111 U.S. schools accredited by the Commission on Accreditation of Allied Health Education Programs (CAAHEP) that offer ultrasound tech associates degrees. Of these, only 2 offer online education. If you have a difficult schedule, you may prefer this option for completing your coursework, but you will still need to be on site for your clinical rotations. The cost of earning your associates degree in ultrasound tech will depend on location, whether you are a resident of the state and what support the school provides. On average, you can expect tuition to be $15,000 per year, although it might be considerably less and there will often be some financial aid available. While you must factor in additional costs such as books, supplies and exam application fees, bear in mind that once you have earned your ultrasound tech associates degree, salary expectations will be at least $44,000, so the investment you make in school will pay off quickly. Programs conferring ultrasound tech associates degrees have rigorous curricula. You will take a number of didactic modules in the various forms of Sonography, such as vascular, OB/GYN, neural and musculoskeletal, applying all these in clinical rotations. You will also take courses in physics, anatomy and patient care. You will be expected to demonstrate a certain amount of physical strength to handle machines and assist patients on and off tables while maintaining your own health and safety. You will learn medical terminology and be thoroughly grounded in the ethics and standards of the profession. Students who earn an associate’s degree in ultrasound technology will be eligible to enter the Sonography department in most hospitals or healthcare facilities. Depending on the number of rotations you undertook as a student and what certifications you have earned, you may not be allowed to work in some of the more complex areas of the field. As you will be expected to undergo continuing education and earn further certifications, you will see your career advance with your practice. A 2-year associate’s degree will qualify you to work as an ultrasound technician in a hospital or other healthcare facility. A combination of on-the-job training and your pursuit of further education and certification will help you advance your career quickly.